In Protestant Christianity, the relationship between Law and Gospel—God's Law and the Gospel of Jesus Christ—is a major topic in Lutheran and Reformed theology. In these traditions, the distinction between the doctrines of Law, which demands obedience to God's ethical will, and Gospel, which promises the forgiveness of sins in light of the person and work of Jesus Christ, is critical. It is used as a hermeneutical principle of biblical interpretation and a guiding principle in homiletics (sermon composition) and pastoral care. It is the supersession of the Old Covenant (including traditional Jewish law, or halakha) by the New Covenant and Christian theology. Other Christian groups have a view on the issue as well, or more generally views of the Old Covenant, though it has not usually been as hotly debated or rigorously defined as in the Lutheran and Reformed traditions. Sometimes the issue is discussed under the headings of "Law and Grace," "Sin and Grace," "Spirit and Letter," and "ministry (διακονíα, diakonia) of death/condemnation" and "ministry of the Spirit/righteousness". 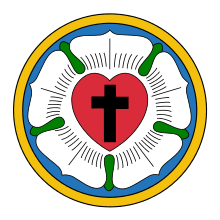 A specific formulation of the distinction of Law and Gospel was first brought to the attention of the Christian Church by Martin Luther (1483–1546), and laid down as the foundation of evangelical Lutheran biblical exegesis and exposition in Article 4 of the Apology of the Augsburg Confession (1531): "All Scripture ought to be distributed into these two principal topics, the Law and the promises. For in some places it presents the Law, and in others the promise concerning Christ, namely, either when [in the Old Testament] it promises that Christ will come, and offers, for His sake, the remission of sins, justification, and life eternal, or when, in the Gospel [in the New Testament], Christ Himself, since He has appeared, promises the remission of sins, justification, and life eternal.". The Formula of Concord likewise affirmed this distinction in Article V, where it states: "We believe, teach, and confess that the distinction between the Law and the Gospel is to be maintained in the Church with great diligence..."
Martin Luther wrote: "Hence, whoever knows well this art of distinguishing between Law and Gospel, him place at the head and call him a doctor of Holy Scripture." Throughout the Lutheran Age of Orthodoxy (1580–1713) this hermeneutical discipline was considered foundational and important by Lutheran theologians. This distinction was the first article in Patrick`s Places (1528) by Patrick Hamilton. Carl Ferdinand Wilhelm Walther (1811–1887), who was the first (and third) president of the Lutheran Church - Missouri Synod, renewed interest in and attention to this theological skill in his evening lectures at Concordia Seminary, St. Louis 1884-85.
that "thereby outward discipline might be maintained against wild, disobedient men [and that wild and intractable men might be restrained, as though by certain bars]"
that "men thereby may be led to the knowledge of their sins"
that "after they are regenerate. . .they might. . .have a fixed rule according to which they are to regulate and direct their whole life"
The primary concern was to maintain that the Law should continue to be used by Christians after they had been regenerated by the Holy Spirit through the Gospel to counter the doctrine of Johannes Agricola, who taught that the Law was no longer needed by regenerate Christians." Confessional Lutheranism teaches that the Law cannot be used to deny the Gospel, neither can the Gospel be used to deny God's Law. Curb - Through fear of punishment, the Law keeps the sinful nature of both Christians and non-Christians under check. This does not stop sin, since the sin is already committed when the heart desires to do what is wrong, yet it does stop the open outbreak of sin that will do even further damage. Mirror - The Law serves as a perfect reflection of what God created the human heart and life to be. It shows anyone who compares his/her life to God's requirement for perfection that he/she is sinful. Guide - This use of the law that applies only to Christians. The law becomes the believer's helper. Empowered by the gospel truth of forgiveness and righteousness in Christ, the believer's new self eagerly desires to live to please the Triune God. The distinction between law and gospel is a standard formulation in Reformed theology, though in recent years some have characterized it as distinctively Lutheran. Zacharias Ursinus sharply contrasted the law and gospel as "the chief and general divisions of the holy scriptures" in his commentary on the Heidelberg Catechism. Louis Berkhof called the law and the gospel "the two parts of the Word of God as a means of grace." Law and Gospel are found in both testaments. In his Institutes of the Christian Religion, the Reformer John Calvin distinguished three uses in the Law. Calvin wrote the following: "[T]o make the whole matter clearer, let us survey briefly the function and use of what is called the 'moral law.' Now, so far as I understand it, it consists of three parts." "[W]hile it shows God's righteousness . . . , it warns, informs, convicts, and lastly condemns, every man of his own unrighteousness" (2.7.6). It functions "by fear of punishment to restrain certain men who are untouched by any care for what is just and right unless compelled by hearing the dire threats in the law" (2.7.10). "It admonishes believers and urges them on in well-doing" (2.7.12-13). This scheme is the same as the Formula of Concord, with the exception that the first and second uses are transposed. The usus politicus sive civilis, the political or civil use, is a restraint on sin and stands apart from the work of salvation. It is part of God's general revelation or common grace for unbelievers as well as believers. 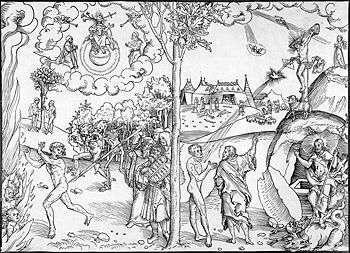 The usus elenchticus sive paedagogicus, the elenctical or pedagogical use which confronts sin and points us to Christ. The usus didacticus sive normativus, the didactic use, which is solely for believers. It teaches the way of righteousness, but does not have any power to condemn. Scholastic Lutheran and Reformed theologians differed primarily on the way in which the third use functions for believers. The Reformed emphasized the third use (tertius usus legis) because the redeemed are expected to bear good works. Some Lutherans saw here the danger of works-righteousness, and argued that the third use should always return believers to the second use and again to Christ rather than being the ultimate norm. Additionally, some have suggested that the third use of the law is not found at all in Luther but comes from Melanchthon. Although some Lutherans have rejected that view, it has caused others to dispute the validity of the "third use" of the Law entirely. Paul Althaus, for instance, writes in his treatise on Law and Gospel: "This [ethical] guidance by the Holy Spirit implies that God's concrete commanding cannot be read off from a written document, an inherited scheme of law. I must learn afresh every day what God wants of me. For God's commanding has a special character for each individual: it is always contemporary, always new. God commands me (and each person) in a particular way, in a different way than He commands others.... The living and spiritual character of the knowledge of what God requires of men in the present moment must not be destroyed by rules and regulations." Such theologians believe the third use leads to or encourages a form of legalism and is possibly an implicit denial of sola fide. Conversely, Reformed Christians have sometimes seen this two-use scheme of some modern Lutherans as leading to a form of antinomianism. Some believe that "for Luther the pedagogic use of the Law was primary, while for Calvin this third or didactic use was the principal one; yet [historically] both the Lutheran and the Reformed traditions maintain the threefold conceptualization." ↑ Martin Luther, Dr. Martin Luthers Sämmtliche Schriften, St. Louis ed. (St. Louis: Concordia Publishing House, N.D.), vol. 9, col. 802. ↑ The Proper Distinction Between Law and Gospel: 39 Evening Lectures , W.H.T. Dau tr., 1897. ↑ Bichholz, Jon D. "Jesus canceled your debt!" (PDF). Wisconsin Lutheran Seminary. Retrieved 31 Jan 2015. We embrace a parallel principle in our division of God’s word into law and gospel. The law (e.g., “God hates sinners,” Psalm 5:5) cannot be used to deny the gospel (“God loves sinners,” John 3:16), neither can the gospel be used to deny the law. Law passages teach the law, while gospel passages teach the gospel. ↑ "Uses Of The Law". WELS Topical Q&A. Wisconsin Evangelical Lutheran Synod. Retrieved 29 Jan 2015. ↑ "Third use of the Law". WELS Topical Q&A. Wisconsin Evangelical Lutheran Synod. Retrieved 29 Jan 2015. ↑ Horton, Michael (2010). "The Distinction between Law and Gospel in Reformed Faith and Practice". Modern Reformation. 19 (5): 12–14. Retrieved 19 November 2012. ↑ Ursinus, Zacharias (1888). The commentary of Dr. Zacharias Ursinus on the Heidelberg catechism (4 ed.). Elm Street Printing Co. p. 2. ↑ Berkhof, Louis (1979). Systematic Theology. Grand Rapids, MI: Eerdmans. p. 612. 1 2 Muller, Richard A. (2006). Dictionary of Latin and Greek Theological Terms: Drawn Principally from Protestant Scholastic Theology (1st ed.). Baker Book House. pp. 320–321. ISBN 978-0801020643. ↑ The Ten Commandments: the Reciprocity of Faithfulness. William P. Brown. Westminster John Knox Press, 2004 ISBN 0-664-22323-0. pp.133-44. Althaus, Paul. The Divine Command: a New Perspective on Law and Gospel. Trans. Franklin Sherman. Philadelphia: Fortress Press, 1966. Elert, Werner. Law and Gospel. Trans. Edward H. Schroeder. Philadelphia: Fortress Press, 1967. Bahnsen, Greg L. Theonomy in Christian Ethics. S.L. : Covenant Media Press, 2002. Barth, Karl. "Gospel and Law" in Community, State and Church: Three Essays. Will Herberg, ed. New York: Doubleday Anchor Books, 1960. Calvin, John. "THE LAW GIVEN, NOT TO RETAIN A PEOPLE FOR ITSELF, BUT TO KEEP ALIVE THE HOPE OF SALVATION IN CHRIST UNTIL HIS ADVENT." Institutes of the Christian Religion, Bk 2, Section 7. Clark, R. Scott. "Retaining the Law Gospel Distinction"
Gundry, Stanley N., ed. Five Views on Law and Gospel. Grand Rapids, MI: Zondervan, 1996. Murray, John. Principles of Conduct: Aspects of Biblical Ethics. Grand Rapids, MI: Eerdmans, 1957. Wikimedia Commons has media related to Law and Grace. Lueker, Erwin L. Law and Gospel from the Christian Cyclopedia. Concordia Publishing House, 2000. Rosenthal, Shane Law & Gospel. Walther, C.F.W. Law and Gospel, (excerpts). Walther, C.F.W. The Proper Distinction between Law and Gospel, (complete work). Bucholtz, Jon D. '"Justification: Handling the Word of Truth, part 3 of 5." Forward in Christ, April 2006. WELS publication, Accessed April 17, 2006.